ORAN, Algeria — The Arab springs are nearly all out of season; everywhere except in Tunisia, they are aging poorly. In the beginning, after a popular uprising, it was the dictator who fled, by airplane, as did president Zine el-Abidine Ben Ali of Tunisia in early 2011. Now it’s the opposite that is happening: It’s the people who are fleeing, for instance from Syria, by sea and land. This reversal raises an essential question, both simple and tragic: Can one still call for democracy after the victory of President Bashar al-Assad of Syria, even if that victory turns out to be temporary, as some predict? What does it mean for the peoples of the Maghreb and the Middle East? For many, the first lesson to be drawn from the Syrian case is obvious: One can’t always win the revolution, or at least not as fast as one would like. So far Assad has come out of the conflict alive, even strengthened — at the cost of the slaughter of half his people. His longevity goes to show that being wrong and facing fierce opposition from dissidents, an army and a large swath of the international community aren’t enough to unseat a dictator. 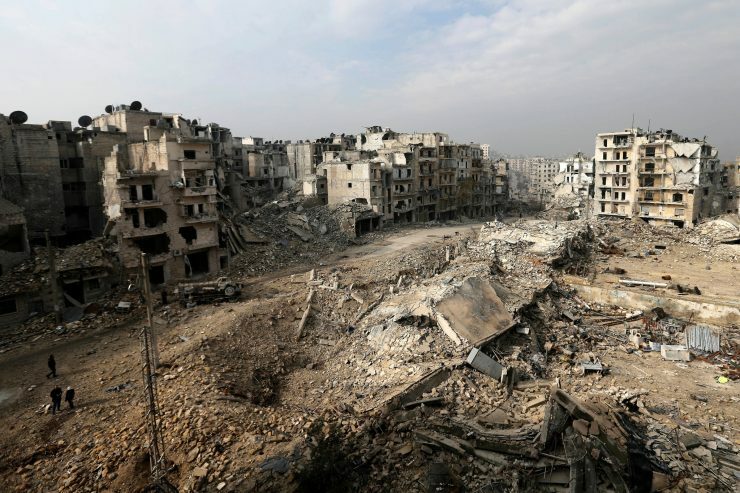 Assad, by killing so many Syrians, has also killed the dream of democracy for many other Syrians, as well as for plenty of people elsewhere in the Arab world. They can see that a revolutionary often ends up a martyr, a tortured prisoner, a militiaman in the pay of foreign forces or an unwelcome refugee. And neither his children nor his people are the better for it. That’s enough to sow doubt in even the most democratic of minds and the most fervent of revolutionaries. Another consequence of Assad’s political survival is the notion that revolution invites predation from abroad. The political elites in the postcolonial Arab world, be they conservative or of the left, are still allergic to foreign support endorsing local calls for democracy: The memory of colonization taints any, or almost any, form of international assistance with suspicion. For example, the Algerian government — very conservative, a police state and a quiet ally of Islamists — plays on the history of French colonialism to give credence to its claim that “a foreign hand” is only promoting freedom for the people the better to destabilize the leaders. For President Abdelaziz Bouteflika of Algeria, the Arab springs were “devastating conspiracies.” According to a private Egyptian television channel, even ‘‘The Simpsons’’ contained proof of untoward foreign designs in Syria. The political chaos in Libya has fanned distrust as well. The foreign-intervention theory is used as a weapon against local dissenters. In 2016 Bouteflika, ailing and immobilized, announced that he would seek yet another term, after having the Constitution amended so that he could stay in office for the rest of his life. When his opponents countered his proposals by invoking democratic values, government media accused them of being traitors, Western agents or Zionists. The case of Syria — subject to alliances with Iran or Russia and playing against Saudi Arabia, Qatar or the United States — gives weight to such propaganda. It seems to demonstrate that any demand for democracy eventually translates into chaos, and chaos invites the return of colonialism. The same goes for Libya. Better then to submit to one’s dictators than compromise oneself with foreigners. Curiously, the elites who reject intervention from the West close their eyes to an obvious fact: the threat of intervention from elsewhere. It’s a typical pitfall of the intellectual left in the Arab world to think that colonization is always Western, never Russian or Iranian. When Moscow or Tehran is involved, one prefers to speak instead of support or assistance. President Vladimir Putin is anti-Western, therefore he must be something of a liberator, or at least an ally, the wishful thinking goes. Hence the second conclusion that’s being drawn from Syria’s experience: Democracy is the Trojan horse of Western neocolonialism. Finally, there’s one more lesson, which has already taken root in the so-called Arab street: Better a dictator than a caliph. In newspaper editorials and on social media, Western interventions are often blamed for the monstrosity of the Islamic State: They destroyed the barrier that local governments formed against extremist sects. Destabilizing the Syrian government opened the way for the Islamic State. But Abu Bakr al-Baghdadi, the group’s leader, is worse than Assad, so dictatorship is preferable to a caliphate. 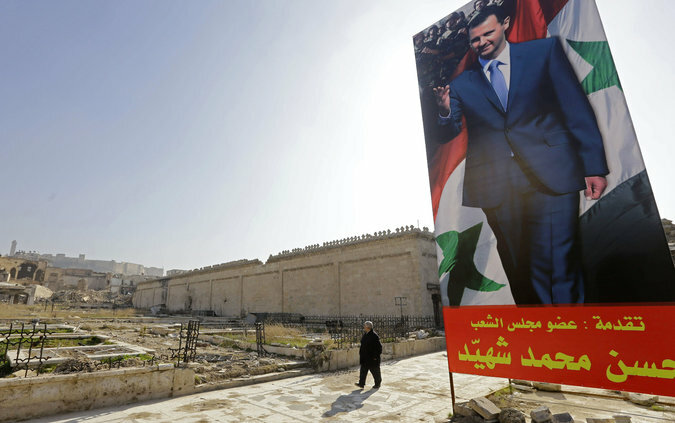 Assad has managed to sell, not only to Westerners but also to local elites and the public, the notion that dictatorship is a rampart against radicalism and a guardian against horror. The scenario in Syria is an extreme illustration of this, but the idea is also at work, if less intensely, in Egypt and Yemen, and even in Morocco, Tunisia and Algeria. The Bouteflika government, for example, doesn’t tire of bringing up Algeria’s “experience” in the fight against terrorism — a small reminder to the West that it must choose between supporting a dictatorship or suffering chaos. And here, six years after Ben Ali fled Tunisia, is a third Assad effect: the idea that if democracy leads not to liberty but to Islamism, one might as well hold on to the stability of a repressive regime. Of course not. It is dictators who, through repression, produce Islamists and jihadists, who threaten stability, which justifies authoritarian rule. Dictatorship creates a self-serving vicious circle. Momentarily, that is. For the process can only escalate: In order to stay in power, authoritarian regimes become more and more repressive, disgruntling more and more people, who can then be co-opted by Islamists. Assad has won, but he has only won time. On the other hand, when he does finally fall, he will leave Syria with no alternative. The Arab springs will still have failed to resolve the difficult choices between chaos and stability, repression and massacre, democracy and dictatorship. Kamel Daoud is the author of the novel “The Meursault Investigation.” This essay was translated by John Cullen from the French.